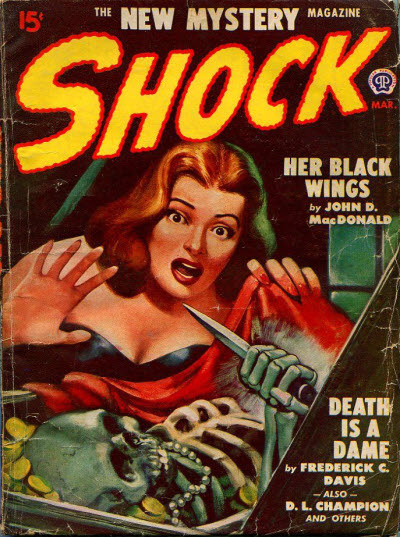 This month we’re going to present an illustrated feature Blakeslee ran in the pages of New Publications’ weird mystery magazine SHOCK.This was “Adventures Into The Unknown”. 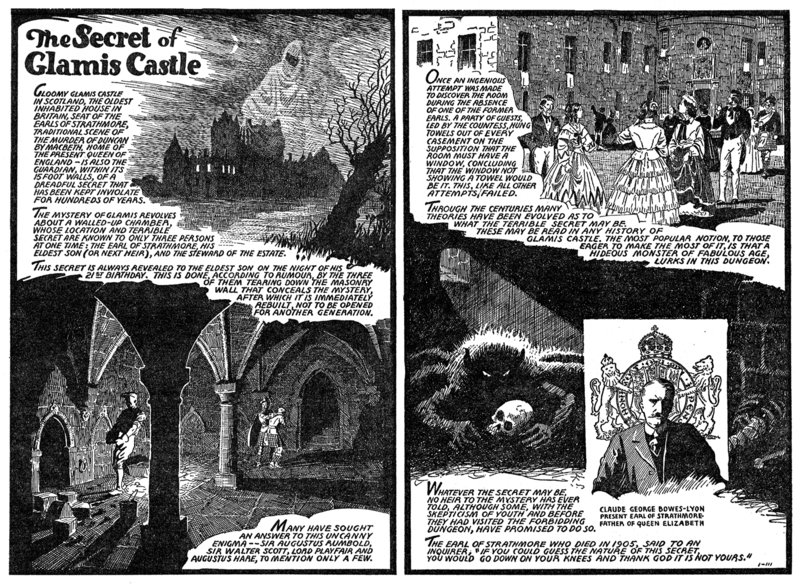 “Adventures Into The Unknown” was a two page illustrated feature that explored weird and eerie mysteries and tales. Unfortunately, SHOCK only ran three issues, and Blakeslee’s feature only in the first two, but it moved to the pages of Popular’s long running Dime Mystery Magazine with the December 1948 issue. It stayed with the title even when it changed it’s name to 15 Mystery Stories in 1950. Smithsonian has a more detailed article on the mystery if you care to read more about it!